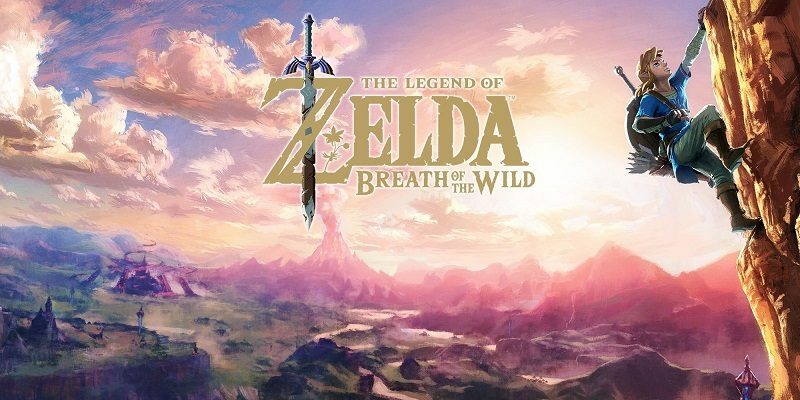 In this post, you will find all there is to know about the Software updates for The Legend of Zelda: Breath of the Wild, released on March 3rd in Europe, Japan, and North America. NB: this post is for both the Nintendo Switch and the Wii U versions of the game. Pay attention to which platforms each update is for! Looking for the free item distributions (Nintendo Switch-only)? Click here! Check out this page for more Software updates! [Switch-only] You can now select Chinese (Traditional), Chinese (Simplified), or Korean in the language settings menu on the Switch console to display text in the selected language. Additional notes: as mentioned above, the update is only for the Wii U version of the game. Additional notes: for more details about the DLC Pack 2, make sure to check out this post! Additional notes: for more details about Rex’s outfit (including how to get it), and the DLC equipment for purchase, make sure to check out this post! [Switch-only] In-game items can now be obtained from launching the software from certain articles distributed through a new News channel (“The Legend of Zelda: Breath of the Wild – Tips from the Wild”) which can be accessed through News on the Home menu. This channel is expected to open on 8/9/2017. Additional notes: as indicated above, the item distribution is only for the Nintendo Switch version of the game. Additional notes: on Wii U, you need to download the (free!) DLC called “The Legend of Zelda: Breath of the Wild—Option to Change Voice Language” from the Nintendo eShop in order to be able to change the in-game voices. It requires 834.7Mo of free space. If you try to change this setting by selecting Voice Language in the Options menu once the update data has downloaded, you will see a button that will take you to Nintendo eShop. 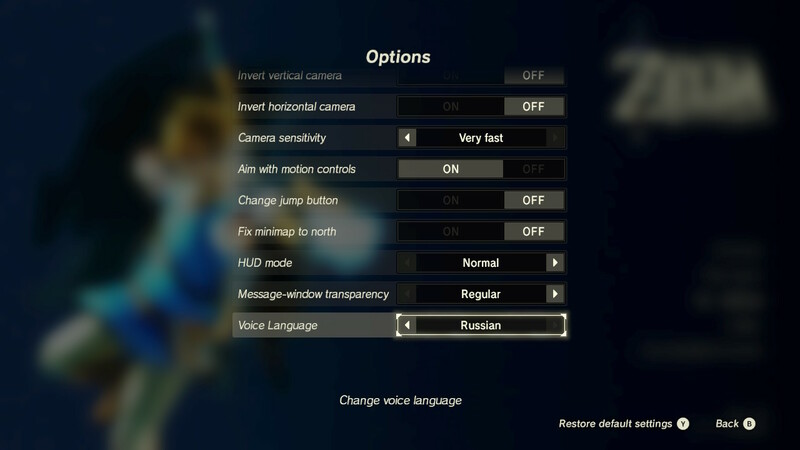 Please go to Nintendo eShop and download the free DLC titled “The Legend of Zelda: Breath of the Wild—Option to Change Voice Language” in order to make use of this feature. Additional notes: since this patch was released so soon after the previous one, it most likely fixes issues introduced with Ver. 1.1.1. Even if you didn’t encounter any issue, it’s recommended to download it as soon as possible! Additional notes: this patch is said to improve framerate in various areas on Nintendo Switch. Additional notes: the update is not required to play the game. The Downloadable Content option is used to purchase the Expansion Pass. 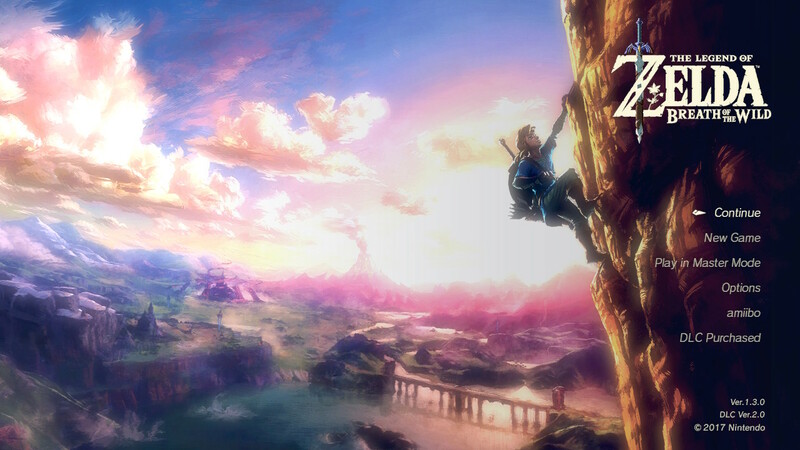 How to update The Legend of Zelda: Breath of the Wild for the Nintendo Switch and Wii U? To check that you have the latest version installed, simply launch the game: the version number is displayed in the bottom right corner of the Title screen. On Nintendo Switch, you can head to System Settings > Data Management > Software > select The Legend of Zelda: Breath of the Wild. You should see the version number just below the game title.